Is the American tax code designed to be confusing? Looking at the thing, it's hard to escape that conclusion. To begin with, there's its size: The full code is over 70,000 pages long -- 22 times as long as Remembrance of Things Past, 62 times as long as the King James Bible, and 54 times as long as the complete works of William Shakespeare. Or, to put it another way, it's about 175 times as long as its first edition, which was published in 1913. Contained within its 3.7 million words are thousands of exemptions, definitions, deductions and loopholes, and teasing them out requires an estimated 7.6 billion hours of tax preparation per year. That's more than 24 hours for every man, woman and child in the country. Even the head of the IRS hires an accountant to do his taxes. Given all that, it's hard to dismiss the notion that the tax code is deliberately designed to confuse the average taxpayer: Its byzantine structure supports an army of accountants and attorneys, computer programmers and bean counters who rake in an estimated $27.7 billion per year helping us prepare our taxes. But the tax prep industry isn't the only group that benefits. Arguments about cuts and deductions, minimums and premiums have fueled many a political campaign. And whether you're inclined to raise tax rates or lower them, increase incentives or decrease exemptions, chances are that you've been tripped up at least once or twice by a confusing term -- or a slick politician wielding it. With that in mind, we decided to unpack a few of the most weaselly of the IRS's weasel words -- and look at how they may affect your yearly taxpaying ritual. One of the most slippery tax phrases is income. Taken at face value, its definition seems obvious -- clearly, "income" is supposed to refer to the amount of money that a worker brings home in a year. But in the hands of the tax industry, even this clearest of words becomes cloudy. Recently, The New York Times highlighted this with its tale of the ridiculous tax rate paid by James Ross (right). The founder of an investment firm, Ross paid 102% of his 2010 income to the taxman. The tale was tailor-made for tax critics: Ross -- a job-creator, a graduate of Yale and Columbia, and a one-man economic powerhouse -- was clearly being charged a cruel and unusual tax rate. How could the government possibly rob such an upstanding citizen like that? Where do we live, Sweden? By God, Ross had to withdraw money from his savings account to cover his taxes! Of course, there was more to the story. Ross didn't actually pay 102% of his income, but rather 102% of his taxable income -- the money left over after he subtracted out his mortgage interest, state taxes, and all the other clever deductions and exemptions he was allowed to take from his total income. In fact, Ross actually paid only 20% of his real earnings in 2011 -- about 4 percentage points less than the average tax paid by someone at his level. Thanks to his impressive list of deductions and business-related expenses, he actually scored a nice tax cut, rather than the brutal burn that the Times story would at first seem to suggest. Income should be an straightforward, clear term, but it's often muddied for political purposes. Total income -- the amount of money that one makes in a year -- can be hard to quantify, so pundits and politicians tend to focus on more easily-defined terms. For example, depending on a politician's leanings, he or she may consistently discuss earned income (all the taxable wages and tips that one gets from a job), adjusted gross income (earned income, minus personal exemptions), or taxable income (earned income, minus all exemptions and all deductions). Because wealthy people often have more deductions and exemptions than lower-level earners, changing which term you use can radically alter how you frame any tax debate -- not to mention the degree to which the rich seem to be unfairly targeted by the tax code. By all rights, a dividend should be easy to understand: It's money that a company pays out to its stockholders, and for most of the modern era, it was generally taxed at the same rate as any other income. Beginning in 2003, however, special tax breaks for stockholders muddied the waters, turning a relatively simple idea into a complicated -- and controversial -- tax nightmare. Nowadays, there are two basic classes of dividends -- "ordinary" and "qualified." Ordinary dividends, which come from stocks that have been held for a short period of time, are taxed at the same rate as ordinary income. "Qualified" dividends, on the other hand, come from stocks that have been held for longer periods, and are taxed at a much lower rate. The differences between the rates are major. 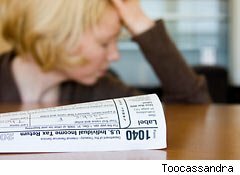 People who earn up to $33,950 per year pay a basic tax rate of 10% to 15%. But people who make that money from qualified tax dividends don't pay any tax on it at all. Meanwhile, those who earn more than $33,951 per year pay between 25% and 35% on their taxes, but those who get that money from qualified dividends pay only 15%. This, by the way, explains how tycoons like Mitt Romney and Warren Buffett reach overall tax rates of 15% or lower, while people who make $34,000 per year pay a base rate of 25%. While the qualified dividend tax rate is attractive, it is also confusing: The IRS' rulebook states that qualified dividends must come from stocks that the owner has held "for more than 60 days during the 121-day period that begins 60 days before the ex-dividend date." But there's also qualified preferred stock, which must have been held "more than 90 days during the 181-day period that begins 90 days before the ex-dividend date if the dividends are due to periods totaling more than 366 days." 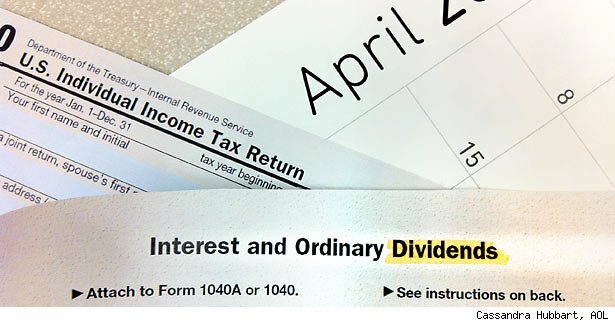 As if dividends weren't confusing enough, some things classed as "dividends" are actually misnamed -- and are taxed as regular income. For example, the "dividends" that you get from your credit union or savings and loan bank are actually classed as interest. This money counts as regular income, and is taxed as such. Interest itself is another tax oddity. For example, in the current election cycle, something called "carried interest" has come under scrutiny. Essentially, it's a payment method used by many hedge funds and investment firms that pays fund managers and execs out of the proceeds of the funds they manage. By linking paychecks directly to investment income instead of salary, carried interest enables these high-earners to pay a 15% tax rate instead of the 35% that wage earners pay. President Obama's 2013 tax proposal suggests that Congress close the carried interest loophole. But even regular interest can be confusing. The interest that one gets from a standard bank account, CD or money market account is taxed at the same rate as regular income, but interest from a savings bond doesn't count until the bond matures or until you redeem it. And, if you use your savings bond interest to pay for some of your college expenses, you may be able to avoid paying taxes on it. If you own U.S. Treasury bills, notes or bonds, the interest that you get from them is subject to federal tax, but not to state tax. On the other hand, interest on bonds that are issued by states may be exempt from federal tax! For that matter, some of the interest you pay -- specifically the interest on your mortgage and your student loans -- may be deductible.